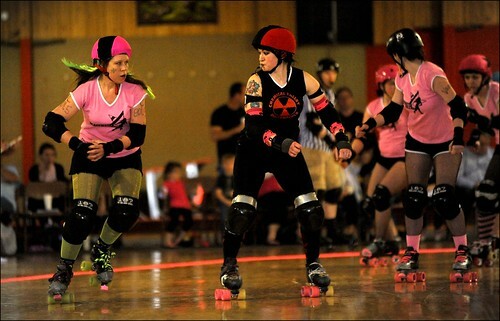 It is Monday morning and we are all feeling the results of Saturday’s bout against the Chemical Valley Roller Girls! It was a great match up with too many lead changes to even count! After two grueling periods, Chemical Valley pulled away in the last two jams taking home the victory with a score of 136-124. 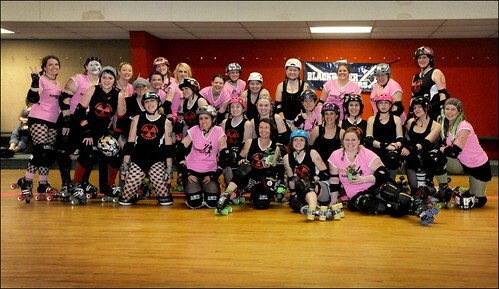 Congrats mountain mamas! We loved playing with this rugged team. Thanks to them for traveling all the way from West Virginia and bringing players from R.O.C.K. out of Kentucky to finish out their roster. And if anyone was lucky enough to hang wit h these ladies during the after party at Mangia, you got to hear Annie Knuckles wailing out some tunes, a little leg wrestling and of course our very own Beccanator doing a special rendition of….well, you kind of have to be there to see it. Here are some photos to help bring some of the action to you! 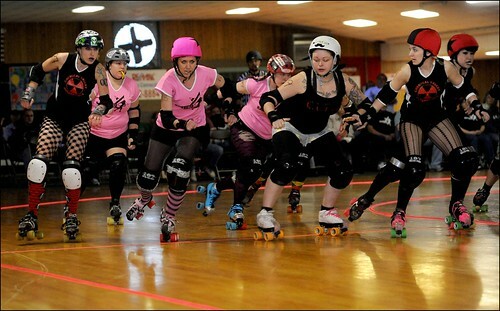 Thanks again for everyone who helps put on our bouts and all of the fans! 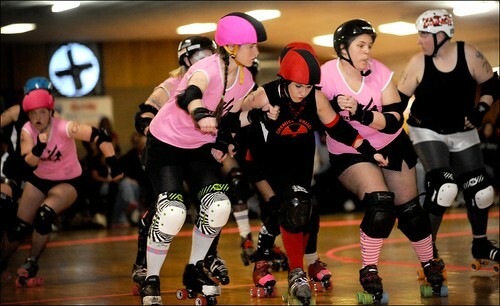 Our next bout is coming up quickly on April 9th against the famed Charlottesville Derby Dames. It is our last home bout for awhile so we hope to see you all there! More details to come!